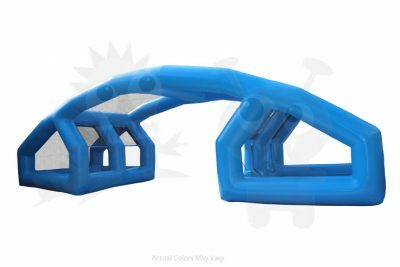 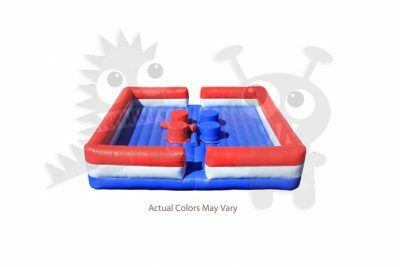 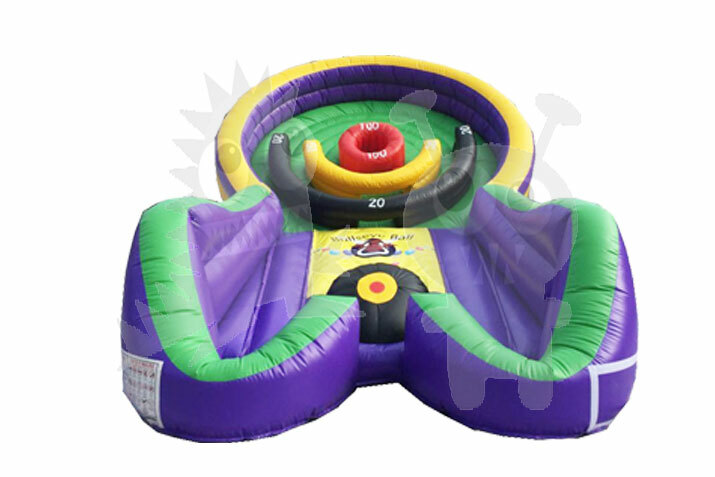 Enjoy a new style of bullseye ball game with our latest Inflatable addition! 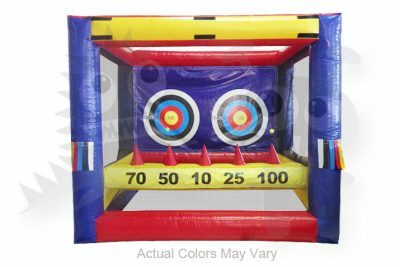 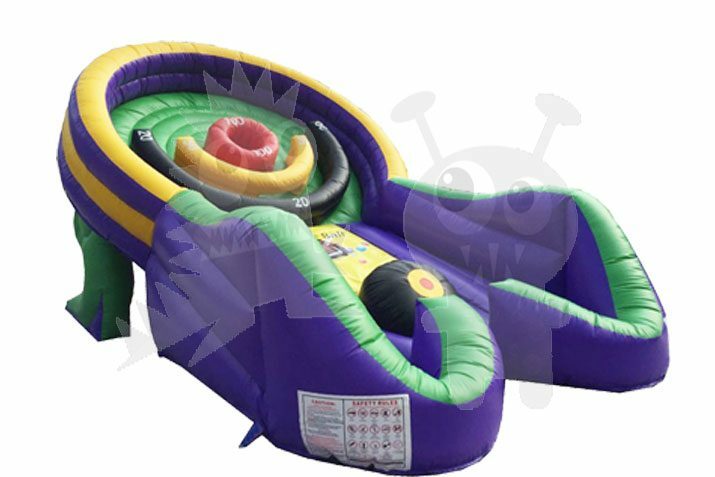 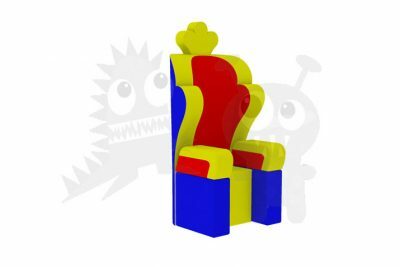 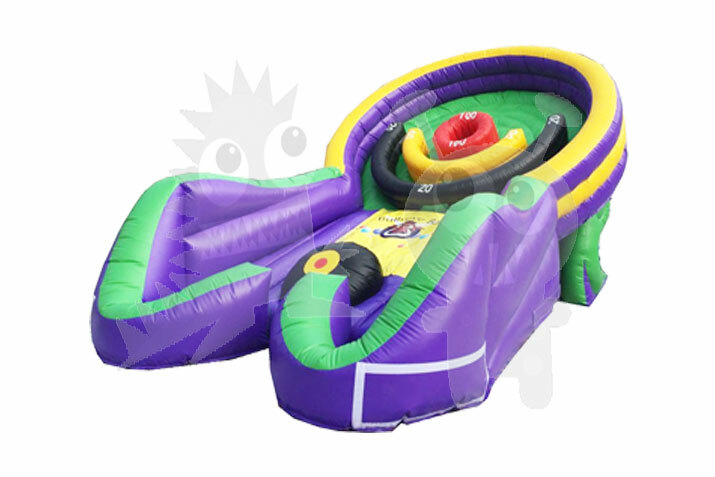 Made with yellow, red, green and purple vinyl this inflatable is perfectly designed to look like a unique bullseye game! 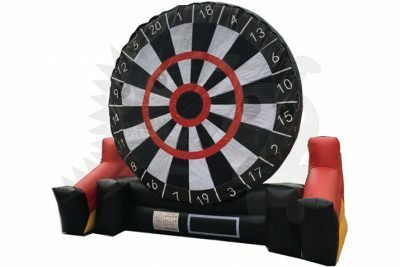 With this new bullseye game, rather than rolling the ball to fall into a hole, the player will bounce the ball and aim to get the highest score. 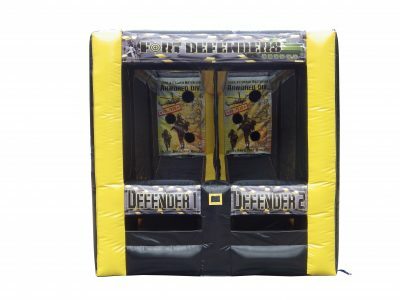 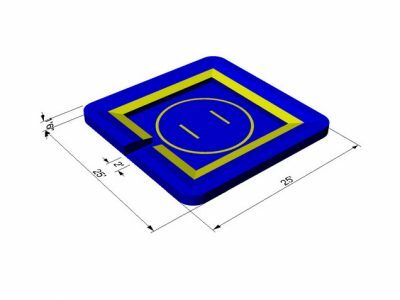 The object of the game is to collect as many points as possible by bouncing off the balls up an incline and into the designated point value holes. 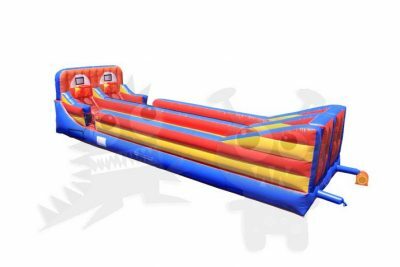 Length: 17' Width: 10'8" Height:9'8"